We are situated in the North parish room of St. Peter’s Church where we have created a weekly Stay and Play session for parents with children aged 8 months to 2 years old. 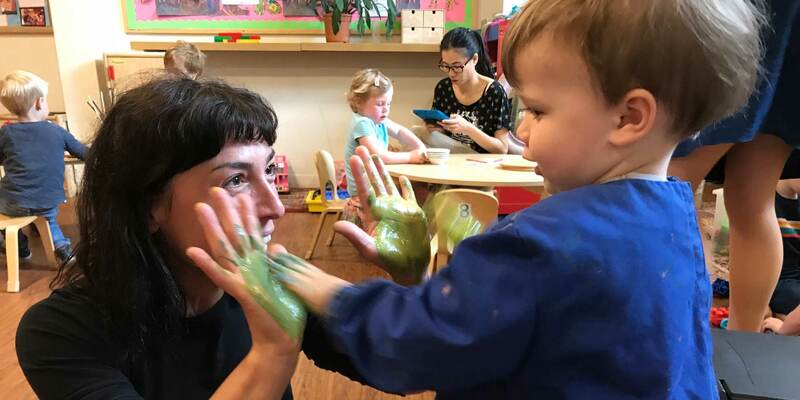 Parents are at all times responsible for their own children although the session is facilitated by a Montessori Teacher from The Beanstalk Montessori Nursery School. The entrance to the toddler group is through the main church doors but if you turn up after 930am and the doors are closed please ring The Beanstalk bell on the right hand side of church. Buggies are left in the church aisle during the session and coats and bags can be left on the side but again out of reach of all children. There is tea and coffee available but we must stress that for health & safety reasons hot drinks must be kept away from children at all times. Under no circumstances can we accept children turning up to parent and toddler group unwell this also goes for older siblings off school. The maximum number of children attending the group can be 12 and attendance is first come first served. If you have any comments, feedback or suggestions for the group please do not hesitate to talk to Ms. Anneli Isherwood. Parents and toddler sessions are £3 per session, there is no need to book in advance just turn up. In fact you could bring a friend!